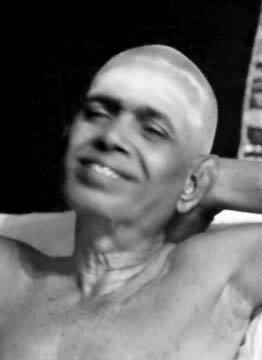 Bhagawan Sri Ramana Maharshi,untill his realization in Madurai, outwardly lead a life of average human being. At his school he is was more interested in games than studies. His performance at school was average. Some of the things noted about Bhagavan are that his sleep was very deep and that he was quite taken by the devotion of the 63 Saivite saints. At the time of his death experience Sri Ramana did Self-inquiry spontaneously without knowing that it was Self-inquiry. He was witnessing the event of death with full awareness. Unlike others, Sri Ramana never practiced Self-inquiry nor did he have any intellectual comprehension about Self-inquiry before death experience. He settled in the Self once and forever in a timeless dimension during the death experience. The process took about 20 minutes! Once one of his relative said that he had just returned from Arunachala. Bhagawan was perplexed at that statement because he thought Arunachala is the name of God and never knew such a place existed on earth geographically. After realization when Sri Ramana went to Arunachala he went to Arunachaleswara temple and before Siva he said “Father I have come as per your order”. From then onwards he surrendered to whole existence through Arunachaleswara. Having attained realization through the path of knowledge (Jnana marga), Sri Ramana exhibited devotion towards the whole existence through Arunachaleswara. He wrote Akshara Mana Malai and other books in praise of Arunachaleswara.This is quite surprising. Usually those who attain Self knowledge through the path of knowledge do not show or talk much about devotion. Those who attain realization through devotion don’t talk about witnessing awareness which is fundamental to the path of knowledge. But Bhagawan Ramana gave importance to both equally. Self-inquiry is more concerned to know the source of ego. In Self-inquiry, the inner Self is awakened and ego disappears as a consequence. Once we know the art of abiding in the source of ego, ego is no longer a hindrance because it is bypassed. Witnessing is the beginning and abiding uninterruptedly is the fulfillment of Self-inquiry. Self-inquiry demands uninterrupted Self awareness. But for many this is not possible because their innate tendencies distract their awareness towards the objective reality. The other method for Self-Realization is surrendering of ego to the existence or to God, guru, or Self. All mean the same thing. Surrendering is focused on the ego. The sense of “I” or “me” has to be surrendered. It is not directly concerned with the Self. When ego disappears the inner Self is awakened automatically. So Self-inquiry and surrender, although appearing to be diametrically opposite reach the same goal, the same realization. Both paths are valid and there is no question of which is better. Bhagavan used to say that there are only two methods. Either engage in self-inquiry and ask, “Who am I” or surrender to the higher power and let it do everything. Each method is perfect and organic whole. In the end, both methods merge for Self-Realization. Editor’s note: All of Dr. Raju’s articles are edited from the original. Please bring any mistakes to my attention.